At I/O 2017, Google announced a new software that lets you use your smartphone camera to point at something and know what the unknown object really is, and it’s called Google Lens. It works just like Samsung’s Bixby Vision on the Galaxy S8, but this one seems to work much better in terms of accuracy. Google managed to woo almost everyone who attended the event by showcasing the capabilities of the Google Lens. Consider this to be a successor to Google’s own Goggles. For example, a user could point their camera at a flower and Google Lens will let the user know which flower it exactly is. 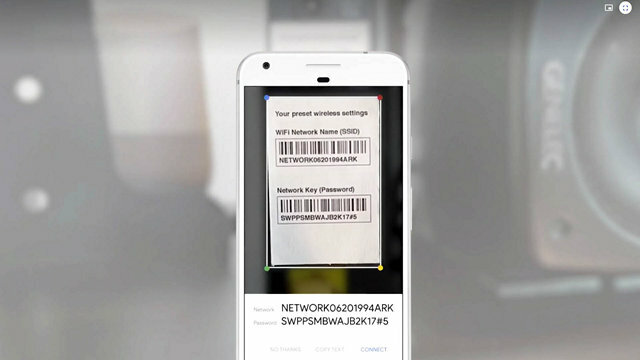 Similarly, as shown during the demo, Google Lens will also detect a network’s name and password once you’ve pointed your camera towards it, and then you’ll be able to connect to that network right within the Google Lens software. Now, how cool can that get? Why should only Android users have all the fun? It’s Google’s turn to show iOS users some love. The hugely successful Google Assistant which almost all of the Android users enjoyed is finally available on iOS. Yes, that’s right, we’re not restricted to use Siri anymore. The Google Assistant is currently available for download as a standalone app on the US App Store, but it’s not available in most of the other countries yet. However, if you want it right away, you might need a US based Apple account just to download the application. That being said, Apple doesn’t let developers remap their buttons, so if you were looking forward to use the iPhone home button for activating Google Assistant, we’re sorry to crush your dreams. 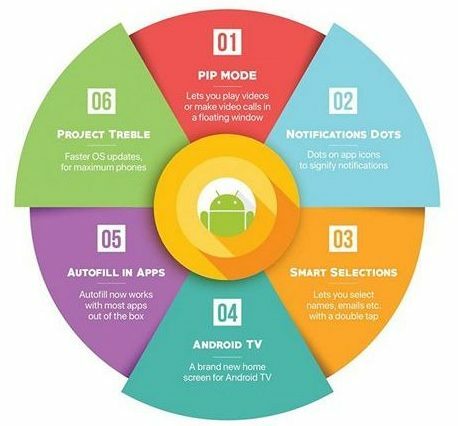 Android O is the next iteration of Google’s Android operating system and its developer preview was pushed out by the company, a couple of months ago. A lot can change in just two months and that’s exactly what has happened here. The OS is a lot more polished and the beta preview is currently available for download to developers who’ve signed up for the beta program. Google promises a much more Fluid experience with Android O and boasts about the new PIP (Picture-In-Picture) mode which lets you play videos in a floating window. Apart from these two, Android O brings better notification controls with Notification Dots on your app icons, better battery life, smart text selections and autofill in most of the applications. Project Treble, a modular base for Android is Google’s attempt at pushing out software updates much earlier on Android devices by separating Vendor Implementation from the Android OS framework. Well, we’re pretty sure that the next Pixel smartphone will be the first device to run Android O out of the box, and we just cannot wait to get our hands on one of them. It’s not just Android O that got us all excited about, but the upcoming Android Go operating system seems to be a potential game-changer for the budget smartphone market. People kept asking for affordable Android smartphones and Google aims at delivering them with a stripped down, lighter version of the Android operating system that consumes far lesser hardware resources, thereby being able to perform very well on entry level budget smartphones. Applications will be utilizing much less memory, and the OS will be able to run smoothly on devices having 512 MB to 1 GB of RAM. 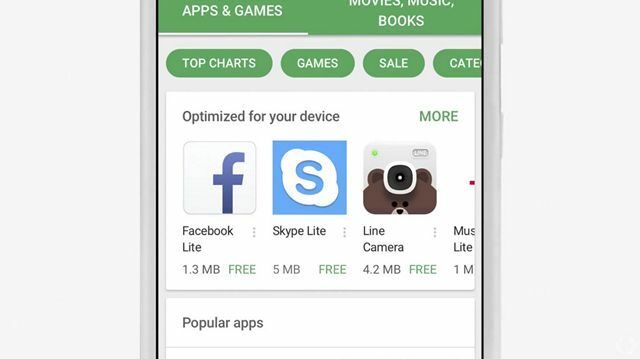 Apart from optimizing Android, Google also plans to optimize its apps to work on low mobile data and resources, like YouTube Go. We expect these Android Go devices to cost far below the hundred dollar mark, as these devices are expected to carry specifications that’s quite similar to flagship devices from five years ago. Remember last year’s Daydream VR headset which required you to connect your smartphone in order to use it? Well, this year, we’re going to see a standalone Daydream headset that doesn’t require a smartphone. It’s going to be released by HTC and Lenovo and both these headsets are already under development. 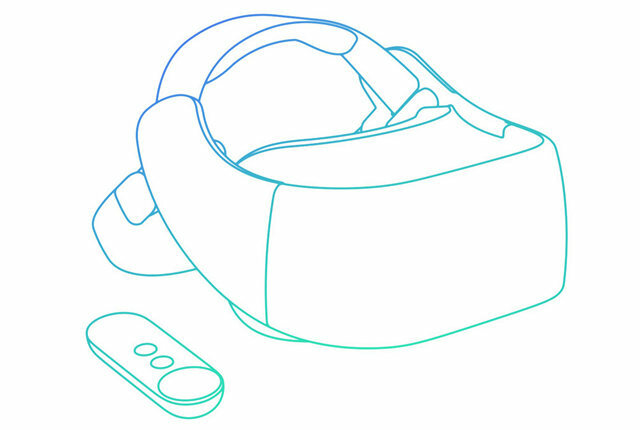 Similar to last year’s Daydream reveal at I/O 2016, Google is only showing us an outline of the headset, so we really have no idea what materials are being used in these headsets. The standalone Daydream will feature full tracking abilities called “WorldSense” without the need of any additional sensors. Unlike several other VR headsets, you won’t be irritated by the cables as this one’s completely untethered and extremely easy to use. However, considering this is a standalone headset, the pricing is expected to be considerably higher than the current Daydream VR smartphone headset. It’s all set to launch later this year. At yesterday’s I/O, the search giant announced the Google Assistant SDK (Software Development Kit) that allows many device manufacturer to easily build the Google Assistant into whatever the developers are building. Soon, Google Assistant will be slowly rolling out in multiple regional languages like French, German, Brazilian, Portugese, Italian, Spanish, Korean and Japanese. These new languages will be made available on not only Android, but iOS as well. 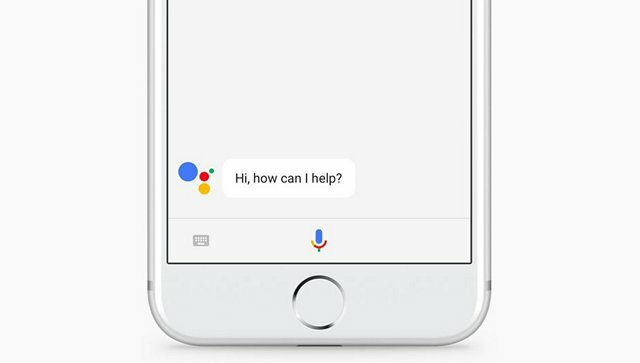 So far, developers have been able to build apps for the Google Assistant using Actions on Google. The company announced that Actions on Google will be supporting transactions which is considered as an end-to-end solution for developers which include online payments and receipts. 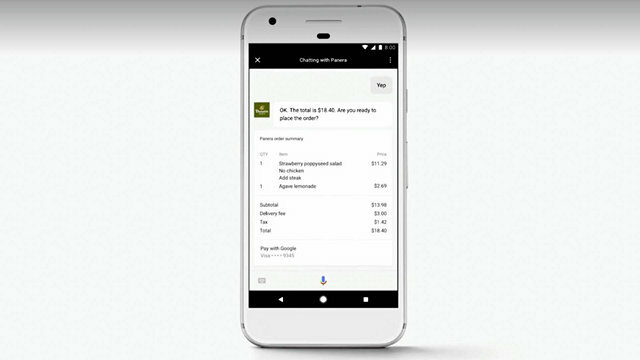 This means you will be able to purchase online with just your voice and the payment will be made through Google, where you’ll have to scan your fingerprint to complete the transaction. After the launch in 2016, Google Home went toe-to-toe against Amazon’s Echo to grab the crown for the best smart speaker on the market. However, Amazon had the advantage recently due to the upgrades it received. Looks like the competition is going to heat up and Google might just give Amazon a run for its money, especially considering the features that the search giant announced yesterday. 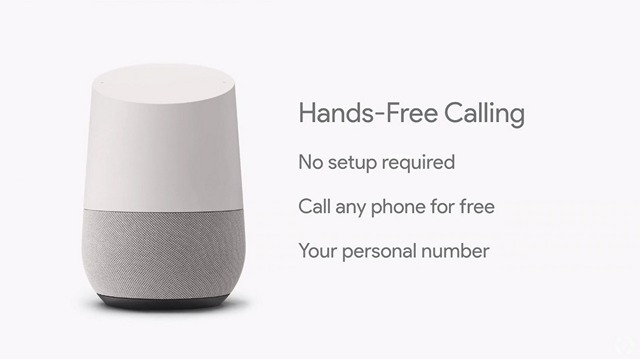 For starters, Proactive Assistance and Hands-free calling are coming to Google Home. With Hands-Free Calling, users in the United States and Canada will be able to make calls to any landline or mobile number for free. Apart from this, Google Home will also be able to schedule calendar appointments, add reminders and view your TV schedules with just a voice command in the coming months. Once these features are made available, Google Home will be able to do pretty much everything that the Echo can. Now, it’s your turn to reply, Amazon. We all can agree on the fact that finding a good job is no easy task. Job openings show up and disappear at the blink of an eye on various websites. Googles aims at providing us with a solution by partnering with Linkedin, Monster, CareerBuilder, Glassdoor and even Facebook, thanks to Google For Jobs. 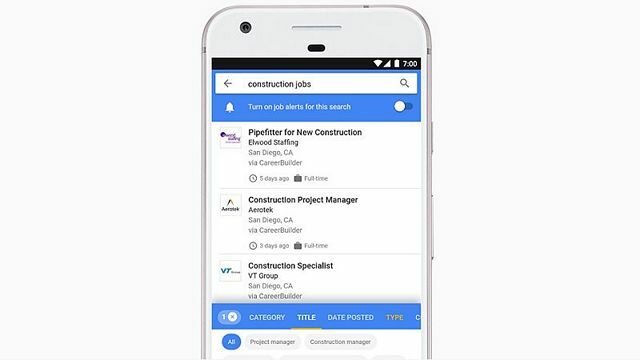 With the help of the company’s vast Artificial intelligence-powered search engine database, Google For Jobs will be able to easily classify and sort out the jobs which is absolutely crucial for anyone who’s keen on finding a job at the earliest. Google will be making use of machine learning to avoid confusion and find you exactly the jobs that you’re looking for. Google For Jobs is all set to be rolled out in the coming weeks. We’ll have to wait and see what difference this actually makes. We know that replying to all your e-mails is pretty hard and time-consuming to say the least. Well, it looks like Google doesn’t want us to worry about that. 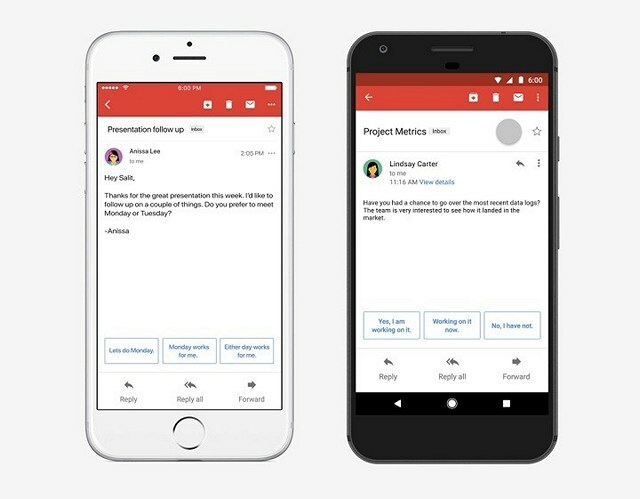 The search engine giant is going to introduce a new smart feature in their Gmail app for iOS and Android which should help users save a chunk of their precious time after a tiring day at work. It’s called Smart Reply and it suggests three responses that totally depends on the e-mail you’ve received. Smart Reply was already available on Inbox by Gmail and Allo apps, but the official Gmail app, which is widely used, is finally about to receive this neat feature. Smart Reply makes use of Google’s machine learning and the responses that Smart Reply provides you with, only gets better with more usage. Smart Reply will be rolled out in English first and Spanish later on in the weeks to follow. Love Google’s Announcements at I/O 2017? This might probably be one of the best Google I/O conferences that we’ve ever witnessed with tons of exciting stuff on Google’s roadmap. Considered as a sneak peek to showcase what’s in store for the future, we definitely enjoyed everything that was revealed at the conference. From Gmail’s Smart Reply to Android Go, nothing left us disappointed. So, what do you guys think of this year’s I/O conference? Do let us know by shooting your opinions in the comments section down below.